A home treadmill for under $300 that will give you a satisfactory workout? It sounds like a dream come true, yet this is what appears to be on offer with the Weslo Cadence G 5.9 Treadmill. No more heading out to the gym in the rain (or snow) to get in a much-needed cardio workout or weight loss session! 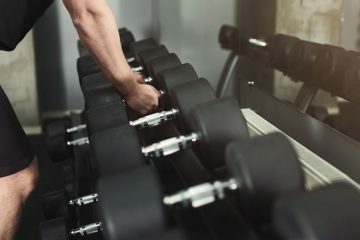 But, before you get too eager with your credit card, you should learn more about this enticing piece of home gym equipment. 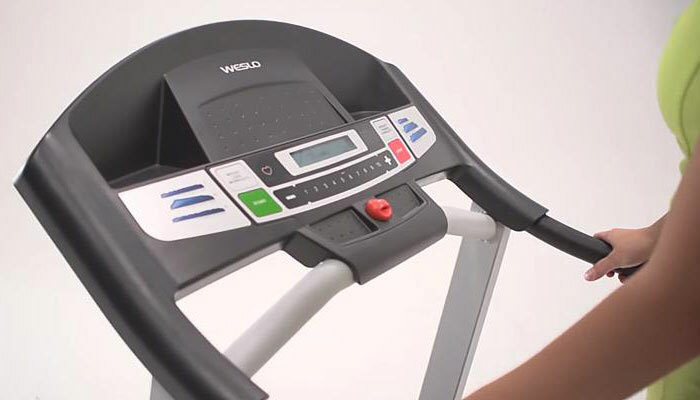 This Weslo Cadence G 5.9 Treadmill review will walk you through everything you need to know. 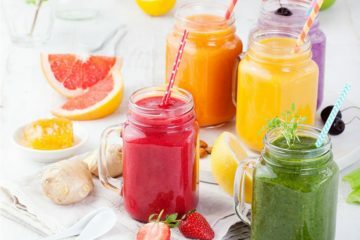 When it comes to making an investment in your health, you want to make sure you’re putting your money in the right place. Although, as you’ll learn in this Weslo Cadence G 5.9 Treadmill review, the treadmill is relatively inexpensive, no one wants to throw their money away. In this review, learn about what features the treadmill offers, what users love (and hate!) about it, who it’s best suited for and how it compares to other home treadmill models. Once you’re fully informed, you can make a decision with confidence about whether or not to purchase this treadmill. If you’re looking for a basic home-gym type treadmill of reasonable quality that won’t break the bank, the Weslo Cadence G 5.9 Treadmill fits the bill. 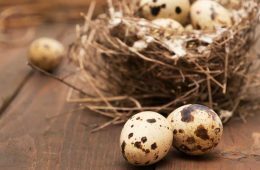 It’s easy to see why it has become a popular product! 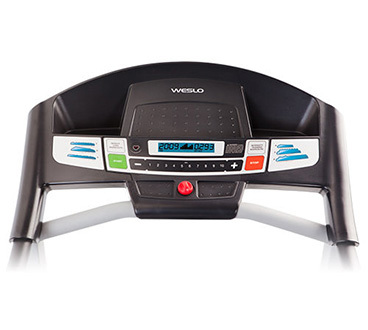 Including a great range of features for the price range of the unit, the Weslo Cadence G 5.9 Treadmill offers excellent value. The treadmill is created by Weslo, a company owned by Icon Fitness, an American manufacturer of fitness equipment. Weslo is one of many brands owned by Icon Fitness. Others include iFit, NordicTrack, and Gold’s Gym, among others. The company’s impressive portfolio of brands, patents and technological achievements evokes confidence in their products. 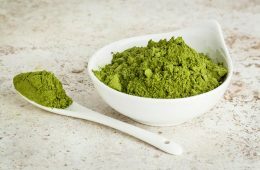 To get a full Weslo Cadence G 5.9 Treadmill review, first, you need a good overview of the product. 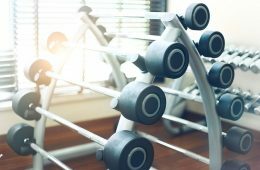 Here are the basics about the structure, functions and features of this essential piece of home-gym equipment. Out of the box and assembled, the treadmill weighs 117 lbs. The maximum suggested user weight is 275 lbs. This treadmill features technology that increases the comfort of the user. 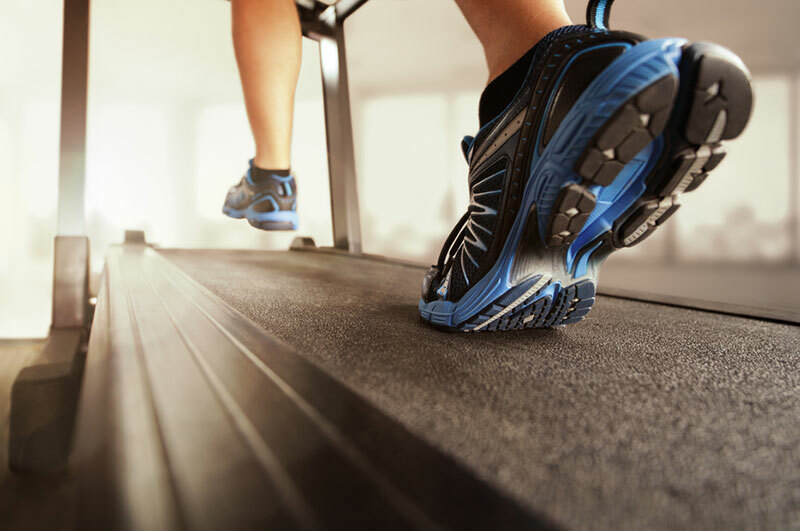 “Comfort Cell Cushioning” is present under the treadmill running surface to improve shock absorption. Your ankles, knees and hips will be grateful it’s there. This treadmill features a space saver design that allows you to fold it up when not in use. This minimizes the amount of space the treadmill takes up. You might even be able to shove it into a large closet! There’s a tray and storage space near the screen so that you can keep a water bottle, tablet, phone or other items within easy reach. There are hand-holds accessible to support you while you run or walk, however, you can also go hands-free. A safety clip is included that ensures that the treadmill will slow to a stop in case of an emergency. 2 position incline that is operated manually. You just need to push down to small feet at the base of the unit. 6 personal trainer workouts are included which automatically adjust the speed to give you a challenge. A heart rate monitor is included on the console for easy monitoring. 10 mph speed control, giving you a range from 1-10 mph. That means at top speed, you can run at a 6 minute mile pace. A large LCD monitor that tracks your progress. On the screen, you can see your speed, calories burned, and distance covered. iFit Bluetooth Smart Enabled. Although this is a separate subscription and purchase, you can take advantage of this feature if you’d like as the treadmill is compatible. This means that you can enjoy running on trails virtually through Google Maps and enjoy customized professional workout programs. To use this feature, you’d set your tablet on the convenient tray to enjoy your run. 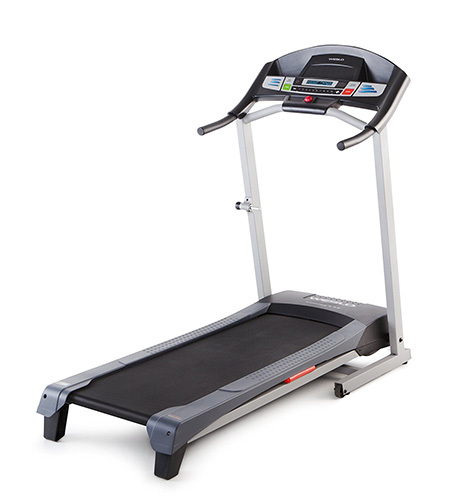 Learn more about this treadmill by watching the following real user review. You’ll see the equipment up close and personal and get a sense of how it works. For the price, Weslo Cadence G 5.9 Treadmill reviews from customers highlight that the treadmill is quite sturdy. Although it’s fairly small and compact, it has a high weight limit. Even tall (around 5’10”) and heavier users report that they feel comfortable and well supported while using the treadmill. It doesn’t take up much space and can even be folded up and rolled out of the way as necessary. Although it’s not silent by any means, the motor doesn’t make an unreasonable amount of noise. 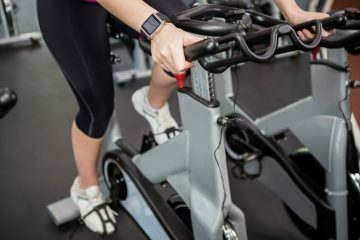 The treadmill makes some noise, but the tv or music can still easily be heard without turning up the volume, users report. In addition to the safety key mentioned in this Weslo Cadence G 5.9 Treadmill review, the treadmill puts safety first in other ways. The treadmill comes to a stop slowly and starts out slowly as well. Even when you remove the safety key, the treadmill gradually slows to a halt so that you won’t trip. By the same token, no matter what speed level you choose to start on, the treadmill offers the option to speed up incrementally. This helps you avoid feeling jerked around. You can go as slow as 1 mile per hour and as fast as 10 miles per hour. There are options to increase or decrease your speed by 10ths of a mile per hour. This is great for you to gradually adjust your speed so that you always experience the perfect amount of challenge. As far as the set workouts go, there are 3 designed for weight loss and 3 designed for aerobic exercise. Of course, you can also customize your own workout by adjusting the speed yourself. Your heart rate is another good way to determine your ideal exercise level. As explained in the user manual that accompanies the treadmill, the highest recommended heart rates are ideal for aerobic exercise. 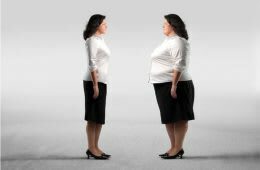 For the best results in weight loss, keep your heart rate in the lower recommended range for your age. For the average user, there’s enough challenge presented by this treadmill. However, runners that want to achieve a pace faster than a 6-minute mile should look for another option. Overall, this Weslo Cadence G 5.9 Treadmill review asserts that the treadmill offers good features for the average home user. Weslo Cadence G 5.9 Treadmill Price: Is it a Good Investment? This Weslo Cadence G 5.9 Treadmill review wouldn’t be complete without addressing the price of this treadmill. At the time that this review was written, the Weslo Cadence G 5.9 Treadmill cost approximately $290. You can choose to assemble the treadmill on your own or request an expert assembly service for about an additional $115. However, most users report that the treadmill is easy to assemble. To give some perspective, there are treadmills that cost upwards of $1000 dollars as well as other treadmills priced similarly to the Weslo. Similarly priced models offer comparable features. However, there are also treadmills that are slightly pricier and offer fewer features. For example, a comparable GoPlus model costs about $70 more, but can only go up to 7.5 mph. On the other hand, this model also offers 12 pre-programmed workouts compared to the 6 on the Weslo. Overall, based on the features offered, the Weslo Cadence G 5.9 Treadmill is a steal for the price. For the average user who wants to get in shape or maintain a moderate jogging regime, the Weslo Cadence G 5.9 Treadmill is a great investment. 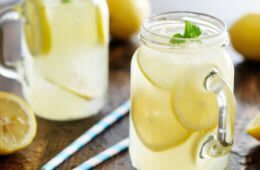 It includes all of the necessary features without crossing the $300 mark, making it very affordable. Price: The price is obviously one of the main draws of this treadmill. Most people don’t have a fortune to invest in home exercise equipment. The low price tag is certainly a plus. Quiet: There were many reviewers who noted that the machine was relatively quiet. Obviously, it’s not silent, but it’s reasonably quiet so that it doesn’t bother neighbors or make it impossible to listen to music or watch tv. 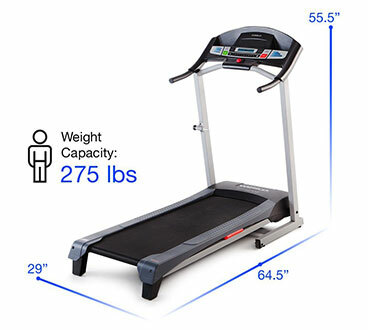 Sturdy: Many reviewers noted their height and weight and were pleased with the structure of this treadmill. Customers noted that the treadmill feels sturdy and doesn’t jiggle around. Functional: Finally, most customers were pleased with the functions. 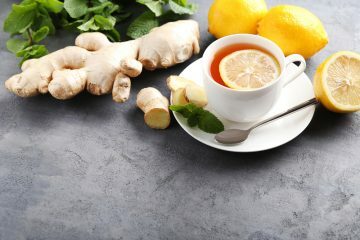 They noted that it was appropriate for a variety of fitness levels and offered enough challenge. Noisy: Noise is subjective, and while for some it was a plus, others listed it as a negative. If you’re expecting a silent treadmill with no motor noise whatsoever, this isn’t the treadmill for you. No automatic incline adjustment: This is clearly advertised in the description, however, some users marked this as a negative. The incline can only be adjusted manually by moving two small stands at the base of the unit. Yes, it would be nice if the incline could be controlled by the console. However, manual incline adjustment seems to be standard for treadmills in this price range. Equipment is broken or damaged upon arrival: Whether it’s a shipping problem or poor quality equipment, many customers note that they received damaged parts. Although customer service does provide replacement parts, customers note it may take a while to get them. Warranty: Another common complaint is that the warranty is very short. Parts and labor are guaranteed for 90 days, while the motor is under warranty for 1 year. Note, you must register your product to make the warranty effective. Complaints about the warranty include that equipment broke after the included time period, but within a year of purchase. 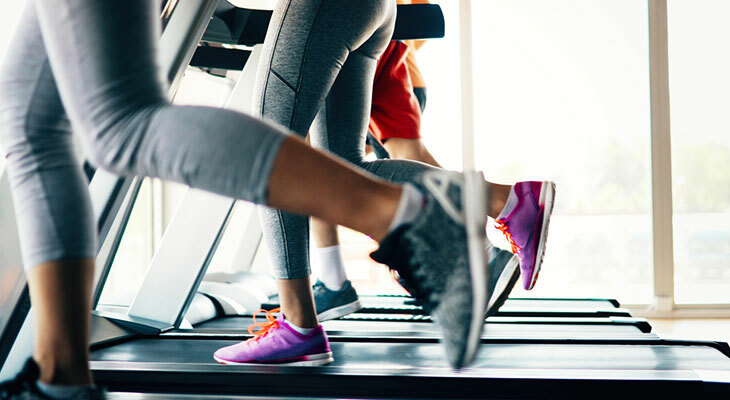 Customers argue that the treadmill should last for longer than the warranty period. There is an extended warranty available at an additional cost. So, what are some more comprehensive Weslo Cadence G 5.9 Treadmill reviews? This reviewer notes that he waited 3 months to post his review, so the treadmill has already had some use. Farhan notes that the treadmill is a budget option, and appears as such. Despite this, he’s happy with how balanced, sturdy and secure the treadmill feels. He also notes that the treadmill is fairly quiet and that the workouts are a great option for those interested in these. As far as dislikes, Farhan wishes the display were easier to read. Because it’s not backlit, he says that it can be hard to read. When comparing the calories burned feature to his Fitbit, Farhan notes that the Weslo treadmill is a bit inaccurate since it doesn’t take into account height, weight, age, etc. Overall, Farhan is pleased with the purchase. Both he and his wife use it on a daily basis. This reviewer is also overall pleased with her purchase. She notes that while it may not be the fanciest or best treadmill out there, it’s good considering its price. Despite the small size of the running area, she notes that she was happy that she can run comfortably. This user is reportedly 5’10”. Contrary to other reviewers, Rose notes that the screen is easy to read. This user notes that while he was initially impressed with the treadmill, it didn’t last long. Within a month of regular use (4-5 times a week), the deck cracked. LifeMisled noted that although it was covered by the warranty, it was a nuisance he was hoping to avoid. This Weslo Cadence G 5.9 Treadmill review also notes that he is an average sized user weighing 165 lbs, so the damage couldn’t be due to applying excess weight on the treadmill. When compared to the other two options, the Weslo seems to stand up well. It’s a bit more expensive than the Merax, but also includes more features and is slightly larger. It’s also about half the price of the NordicTrack which includes quite a few additional features. So, for the price point and features, the Weslo seems to be right on target. Who Should Purchase the Weslo Cadence G 5.9 Treadmill? This Weslo Cadence G 5.9 Treadmill review recommends the treadmill for individuals who want to work out within the comfort of their own home. This treadmill is best for beginners to moderately fit individuals. However, if you’re hoping to train for anything faster than a 6-minute mile, this isn’t the treadmill for you. 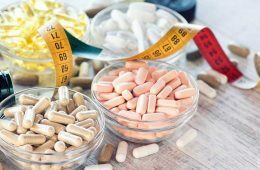 Features are basic, so fitness enthusiasts who want to use advanced features such as those found on their gym’s treadmills won’t be satisfied with this model. This model is also not ideal for those who enjoy hill and mountain workouts due to the limited incline feature. Overall, the Weslo Cadence G 5.9 Treadmill is best for those who are looking for a solid, budget treadmill with basic features. For the average person who wants to work out at home, the treadmill offers great value for money. If this sounds like you, then why not give the Weslo Cadence G 5.9 a whirl? For those interested in purchasing a treadmill to use at home, Weslo Cadence G 5.9 should definitely be on the list of options. The price is right and it includes enough features to offer users a solid workout. Positive reviews and the confidence that the brand inspires also make the Weslo Cadence G 5.9 a great choice. Have you purchased the Weslo Cadence G 5.9? Tell us about your experience! What do you love about it? Is there anything you hate? We’d love to see your honest Weslo Cadence G 5.9 review in the comments below. I saw in the users opinion , that in some cases they received broken parts. I want to know how yoy proceed in those cases? And which shipping company do you work with?